As we expand our blog, we would like to introduce our readers to other great blogs out there. First up is a guest post from Nandini Muralidharan, travel buff, whose blog at wayswetravel.com gives her many readers a whiff of the vast open spaces beyond their cubicles. Here, Nandini introduces us to literature about the Holocaust that has made an impression on her. The words “Arbeit Marcht Frei” greet me as I enter the eerily silent premises of the erstwhile concentration camp at Sachsenhausen in Germany. For the next couple of hours, I listen as Nigel tells me all about what happened at Sachsenhausen. Nigel Dunkley is a soldier, a diplomat, and he’s also interpreted for Hitler’s deputy Rudolf Hess at the Spandau Prison in Berlin. He’s also a remarkable storyteller. He asks me as we make our way out after an emotionally exhausting journey, “have you read ‘The Boy in the Striped Pyjamas?” I tell him no, but during those three hours that we were in the concentration camp, all I could think about is ‘what happened here?’ and ‘what happened in all those camps across Europe?’ Sachsenhausen was a prototype to concentration camps across the continent, including the one everyone knows the name of – Auschwitz. Once I was back home, I began to devour literature on the Holocaust with an obsession that I couldn’t understand. I wanted to know the stories of as many people as I possibly could. 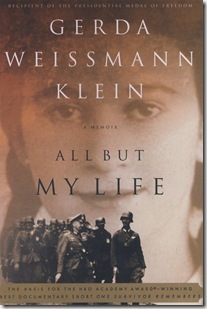 I wanted to know what happened not just in Auschwitz, Treblinka and Ravensbruck, but also what happened before that. Stories of people in Poland, Holland, Austria, Denmark and all those other countries where they were just removed from and tortured in unimaginable conditions at Auschwitz or Ravensbruck. One time that I was in Berlin, I went to Book Burning Memorial at Bebelplatz. A plaque near by bears Heinrich Heine’s words “where they burn books, they burn in the end people.” So as I read memoir after memoir of people who survived, I found some satisfaction in the face that all these hundreds and perhaps thousands of books are in a small way, a fitting “spit in the face” response to those who thought they could “cleanse” by burning all those books. Among all the books I read, I have a few favorites that I have read multiple times, and still discover something new in when I read them. All But My Life by Gerda Weissman Klein – In a genre of books where each is bursting to outdo the other in its poignance and dark beauty, this one stands out as one of the most simply written. The author writes about how her comfortable life in Bielitz, Poland is torn apart by the Nazis who marched into her home in the September of 1939. One of the most striking aspects of the book is her friendship with Ilse, whom she has known all through her childhood. Through multiple camps and a death march, they stick together and find strength in each other. A number of quotations from the book have gone on to become words of inspiration, but one that particularly stands out in my mind is this one – when asked to pray for the end of the war, and for freedom, Gerda thinks “the only way I knew how to pray was to give thanks.” Even in the midst of all the pain, the humiliation, the suffering and the stripping away of “all but her life”, she saw things that she was grateful for, the most important being Ilse’s friendship and her presence. The Boy in the Striped Pyjamas by John Boyne – Sadness is an integral part of war. We all know that. But the kind of gut-wrenching sadness that comes with this book will leave anyone who reads it changed. Written in the voice of Bruno, the young son of a high-ranking commandant in Hitler’s army, this book brings out a whole new perspective. The curiosity that comes with childhood and the childish pronunciation of “Out-with” which we all know can only mean “Auschwitz” speak of darker things that lie beneath the surface. 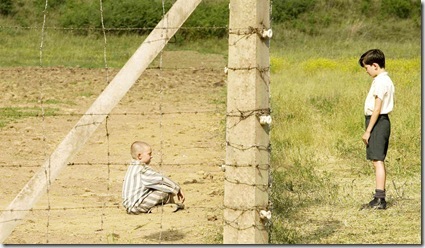 Bruno’s father is posted at “Out-with” and the child befriends someone beyond the barbed wires – Shmuel, a Jewish boy about the same age as Bruno. This unlikely friendship carries on for a while as the two boys discover that they like pretty much the same kind of things. The book takes turns that you have to read to discover, but it is one book that you won’t forget in a long, long time. 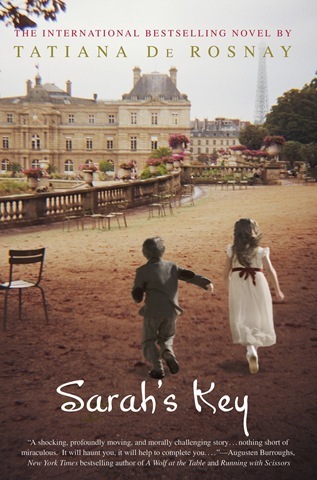 Sarah’s Key by Tatiana de Rosnay – Occupied France, the Vel’ d’Hiv Roundup of 1942 and a Jewish girl Sarah Starzynski – these make for a gripping story with two parallel plots written beautifully by the French author. The first plot is set in 1942 when the infamous roundup of Jews happened at the Velodrome d’Hiver (Winter Velodrome) in Paris, and ten year old Sarah and her family are arrested. Sarah has a secret that she knows she must keep but doesn’t realize the horrifying consequences of at that moment. The second plot, set in the year 2002 follows Julia Jarmond, an American journalist married to a Frenchman and living in Paris. Julia who sets about the task of researching the Vel’ d’Hiv Roundup for a story to commemorate the event’s 60th anniversary, is about to learn some truths that would change her life forever. 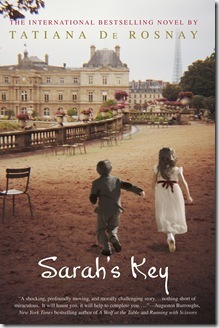 While “All But My Life” is a personal memoir, “The Boy in the Striped Pyjamas” and “Sarah’s Key” are works of fiction. But this doesn’t take anything away from these books, the events inspiring these books being cruelly real. A lot of people who have lived through these events prefer forgetting that these things happened, and you can’t blame them. They have seen the most horrifying things that most of us cannot even imagine. But these books that have been written are here to remind us that history cannot be erased, no matter what. They remind us that there are survivors who dared to hope. They remind us that burning those books did not burn the spirit of these survivors. Probably because so many people know about it already! Nandini has introduced us to some new books. I’m ashamed to admit that I’d never heard of any of the books she has mentioned. But well, better late than never! Beautiful article ! It is chilling to even think of the holocaust ! The image on the article reflects the sombre feel to the place perfectly. Auschwitz is on my ‘MUST VISIT’ list. It is truly wonderful that someone still considers such events and places worth talking about. These books/movie adaptations of them have long been in my reading list. Haven’t got to them yet. May be this was the push required! Thanks much! You’re welcome, Thinktank! Check out some of the other books mentioned by Uma and Vanathi in their comments. I recommend “Survival in Auschwitz” by Primo Levi, “Night” by Eli Wiesel, “I escaped from Auschwitz” by Rudolf Vrba and Charlotte Delbo’s “Auschwitz and After.” These are personal memoirs of survivors who wrote them soon after they were liberated. I also recommend the graphic novel “Maus” by Art Spiegelmann for second generation.